▪ No in-app purchases! No advertisements! ▪ THE GAME WORLD: 3 realms, differing in architecture and creatures inhabiting them. You’ll meet characters with unique personalities who will help you – or try to prevent you from – reaching your goal. ▪ ART: 75 hand-painted rooms in a unique dark fantasy setting. ▪ STORY: A dark fantasy adventure between dream and reality. 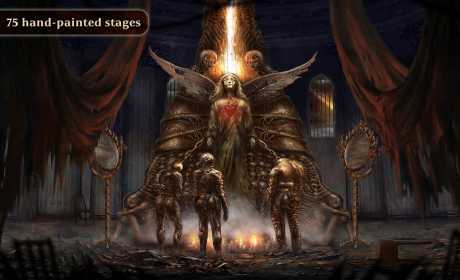 ▪ Moral choices which will affect the game’s ending. 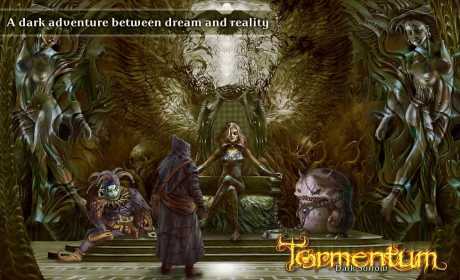 ▪ Uncover the secrets of Tormentum – Dark Sorrow. Follow the clues and solve challenging puzzles and mini-games. ▪ Solve the puzzles and riddles, discover the new rooms, use your skills and do whatever it takes to escape from this dark world. ▪ Dozens of puzzles, clues, and items. Gather tools and items to aid in your escape from dark castle. Visit OhNoo Games, a developer, producer, and publisher of point and click, puzzle, adventure, casual, games!